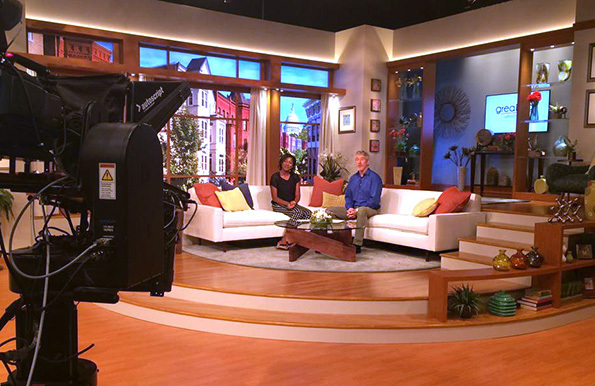 WUSA-TV, the Tegna owned CBS affiliate in Washington, D.C. has debuted “Great Day Washington,” its take on a live, local talk show, from a living room style set. The set’s focal point is a sofa area backed with a faux window showing off a streetscape of traditional D.C. row houses with the Capitol dome visible off to one side, which is a nice take on the rather overused trend of using D.C. landmarks as a dominant background element. 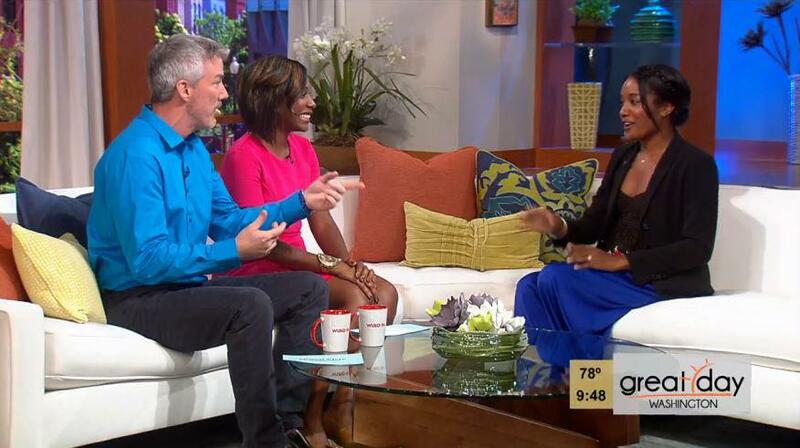 The set was designed by James Yates Production Design and built by Creative Dimensions. The couch itself backs up to a raised walkway on the right side of the set, which, in turn, leads to an entryway of sorts that’s framed by open bookshelves and includes a console table under a wall mounted flat screen. 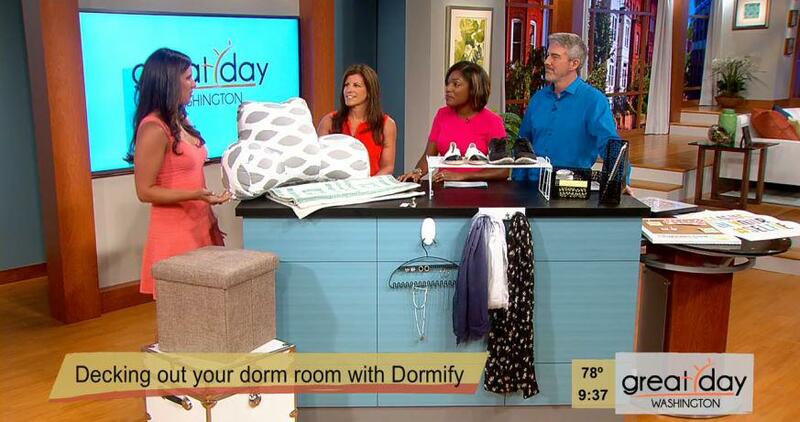 Much of the furniture pieces on the set are a nod toward the mid-century style and are “sponsored” by a local advertiser. The set includes a kitchen area and multi-purpose area, which is used for demonstrations, musical guests and larger setups (such as the one above). The set is decorated with decor you might find in a real house, like flower vases, ceramic pieces and other knickknacks. One of the sets strongest areas is the lighting. The tan walls are accented with subtle, textured splashes of light, which uplighting integrated into the set header adds a dramatic flair. Likewise, subtle downlighting helps accent the warm wood tones while also adding additional shadows and textures for visual interest.